Mother Teresa dedicated her life to offering much-needed relief for Calcutta’s poor. Through her Mission she gave aid to the hungry, sick and dying, creating schools, orphanages, soup kitchens and hospices. 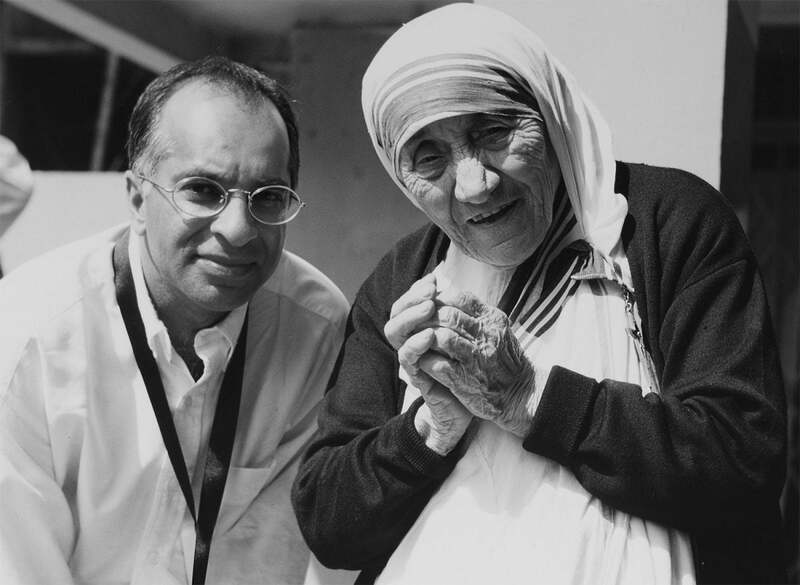 At the time of her death Mother Teresa’s Missionaries of Charity were operating over 600 missions in 123 countries. In 1995, during an educational trip to India, Rumi met with Mother Teresa and visited her Kalighat Home for the Dying, where he saw first hand the compassion and dignity Mother Teresa gave to those who were most vulnerable. The individuals brought to the home received medical attention and were afforded the opportunity to die with dignity according to the rituals of their faith.